We all have a hobby of pinning the pictures of our favorite holiday spots and celebrities on our wall. That is how the photo-sharing website Pinterest got its name with people pinning their pictures on their account and sharing other pictures. 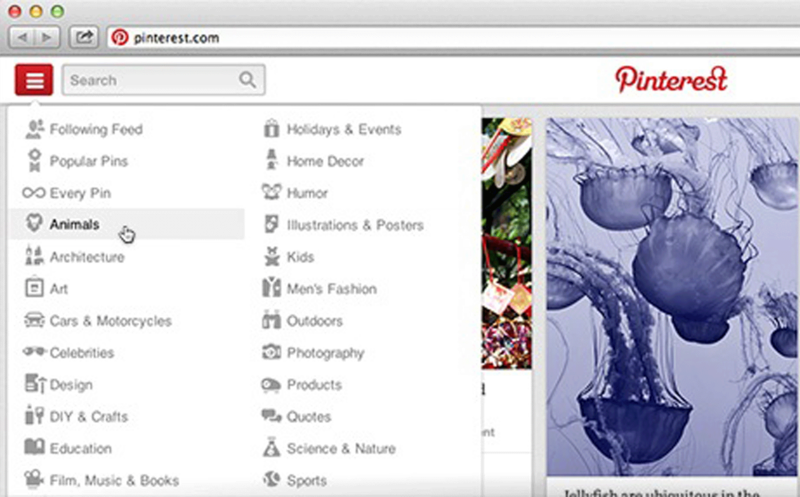 Now Pinterest is planning to redesign itself and testing a new look. The goal of redesigning the popular photo-sharing platform is to make the homepage easier to navigate, include more image details and to show more related images on the detail pages for a specific pinned image. Obviously, this aims at encouraging people to spend more time on the website. According to Compete.com, Pinterest‘s US audience alone has grown from 7 million monthly visitors in December 2011 to 23 million in August to 30 million at the end of last year. Given the fact that it can help to generate more traffic than Facebook, the popularity of Pinterest is on an all-time high today. In May 2012, Pinterest raised $100 million in a round led by Japanese e-commerce giant Rakuten, at a valuation of $1.5 billion. Although the updates may be hard to spot for those who are not design enthusiasts, the aesthetic is comfortable to be seen and navigated easily, with a new gray gradient background behind all pins. The subtle changes will be an improvement for discovering new content on website. The new setting will be a treat for those who are usually searching for pictures related to current affairs or celebrities. This setting will also be helpful to students working on school assignments and projects. With navigation becoming easier, Pinterest would be fun when this change actually rolls out. We are eager to see how much people will enjoy using Pinterest and what else Pinterest would do to enhance user satisfaction.